alchemedium – New Official Website Launched! On top of day job travels, apartment relocations, and family stuff, we have been moving forward with marketing planning and code/art/audio development a little slower than anticipated. 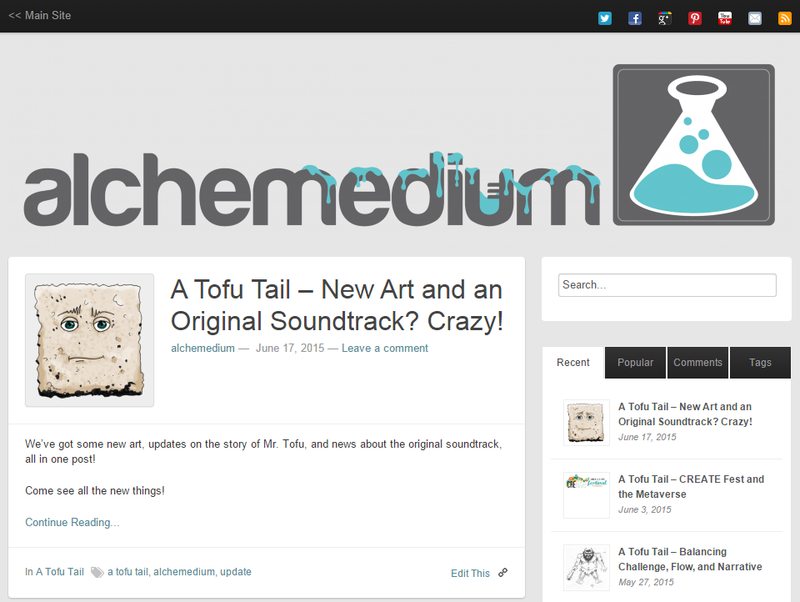 However, we have had the chance to push out the redesign of our home page at www.alchemedium.com! 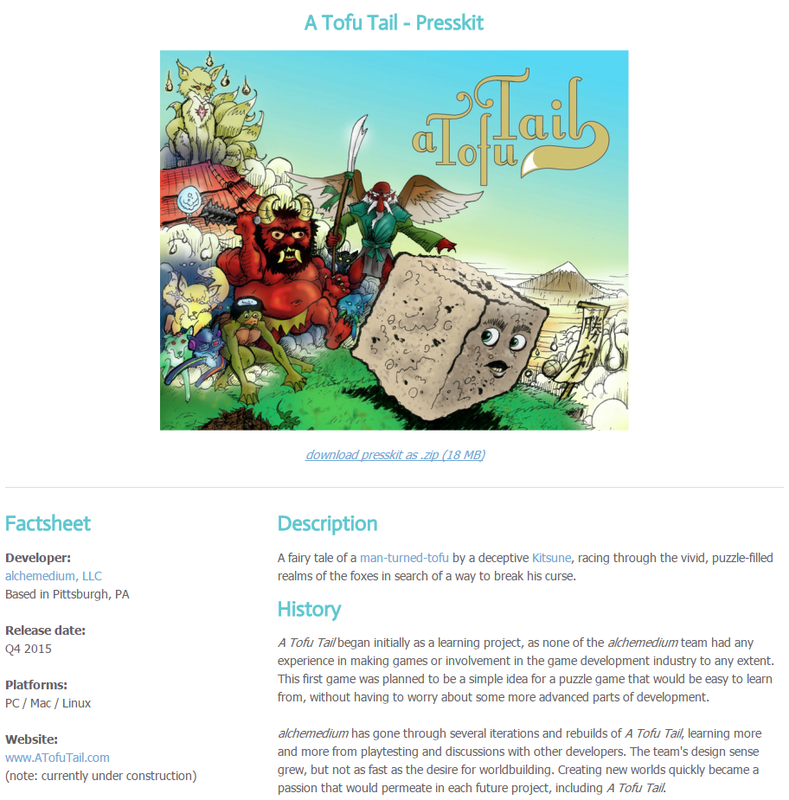 Initially, our website has been primarily a WordPress.com hosted blog site, with additional pages supplemental to the indie game developer website materials. Recently we have officially moved the blog site to blog.alchemedium.com and redesigned from the ground up, the new alchemedium landing page. We have a bunch of similar pages that were hosted on the blog site, but they are all a lot more streamlined, clean, and official! For now, this section will be the main alchemedium.com landing page for the site, so that everyone will know what we are working on! This will give a brief synopsis of our games, links to the individual game sites, and (when available) options to purchase/pre-order our games! As mentioned, we have moved the development blog to blog.alchemedium.com, and will now use this site solely for development and update blog posts moving forward. This will still be the source for pretty update to date information about our current status, but most of the organized content will be put up on the main site. 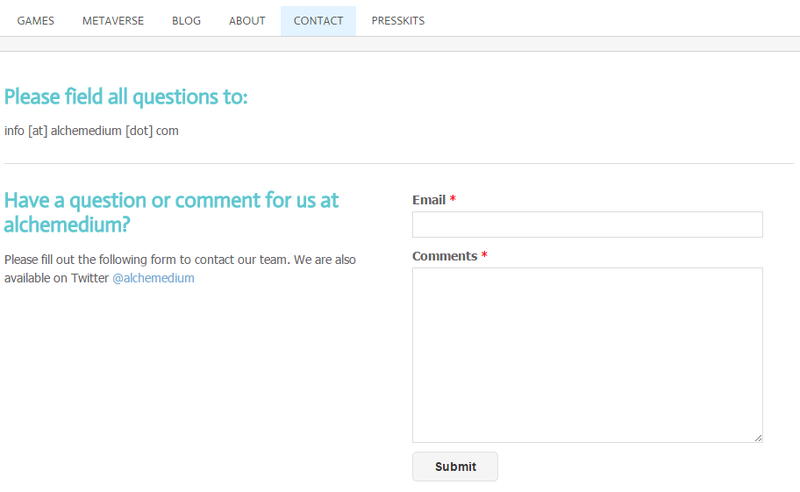 If you want to contact us directly, submit any comments, or even opt-in to our mailing list, check out this page! …and finally, our most anticipated change, the Metaverse page! We have mentioned many times our desire to create a very cohesive universe for all things alchemedium, and this is our first step in that direction! We plan to utilize this area of our site to collect all lore related to Mr. Tofu, the Kitsune, and everything else in our games. 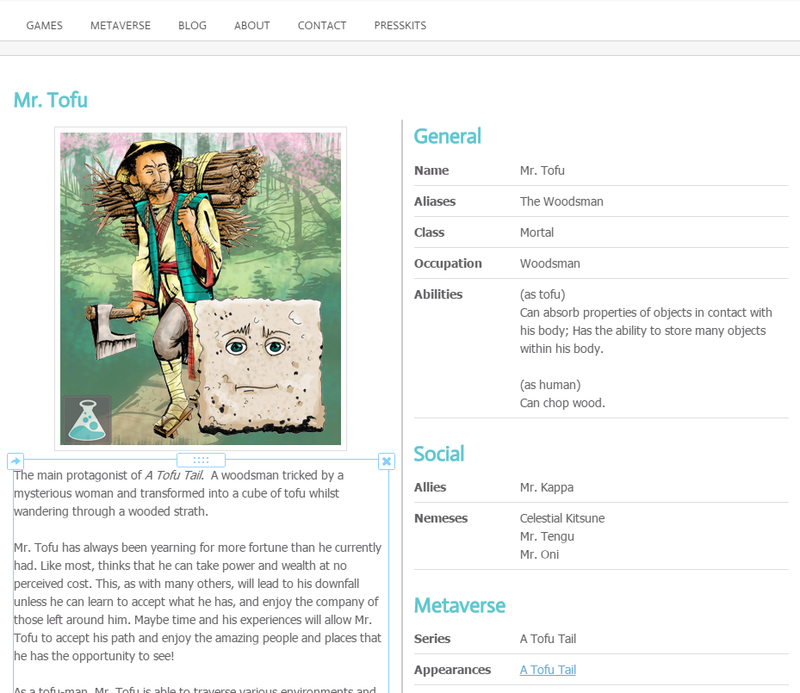 Our first page to kick this off is Mr. Tofu! Now that the home page and metaverse site have been made live, the next goal is finishing the official trailer for A Tofu Tail! This entails – no pun intended (maybe) – implementing the new sound effects, fixing some visual coding issues in our puzzle game, and recording and pulling the video itself together. We have a bunch of other things planned as well, and we will keep you updated on the status of these awesome new things! Until then, plop on our good friends! 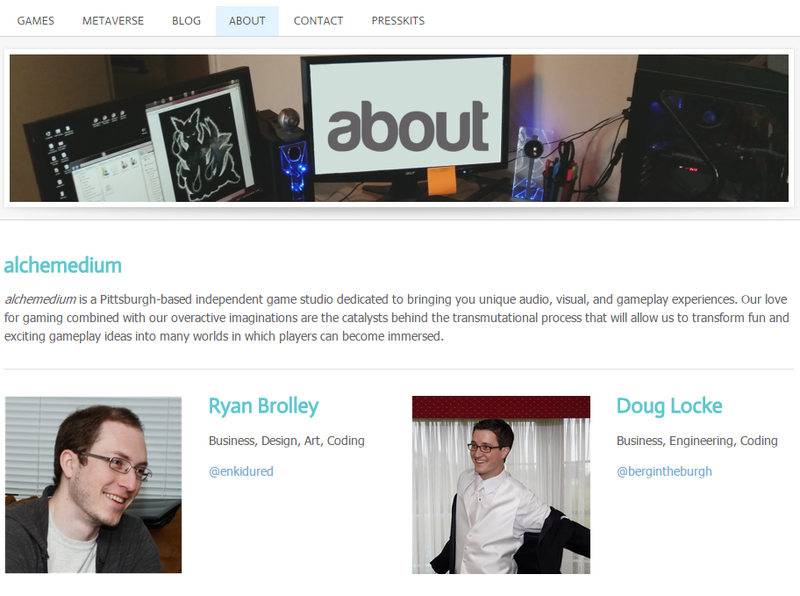 Indie game developers from Pittsburgh, PA. We are dedicated to bringing you unique audio, visual, and gameplay experiences. 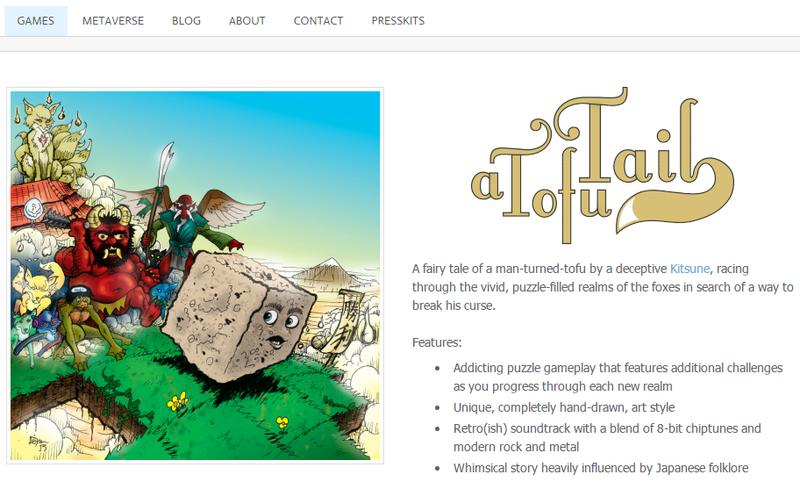 Currently developing the story-driven puzzle game "A Tofu Tail" . Blog Disclosure: Posts may include links to an affiliate account at Newegg and Amazon, and alchemedium, LLC earns a few cents on the dollar if readers purchase the items recommended. Thanks for supporting our blog when you shop at Amazon or Newegg!